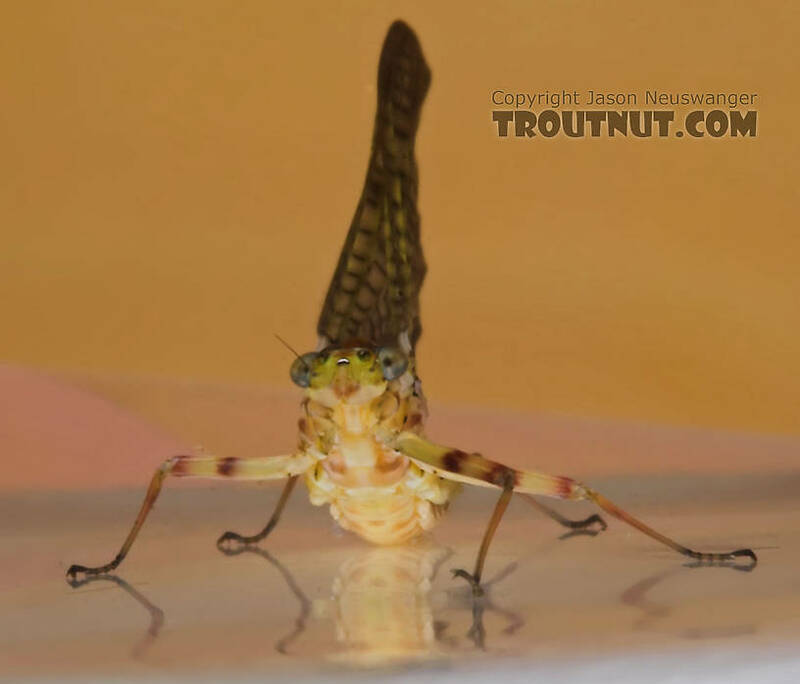 I collected this female dun together with a male. 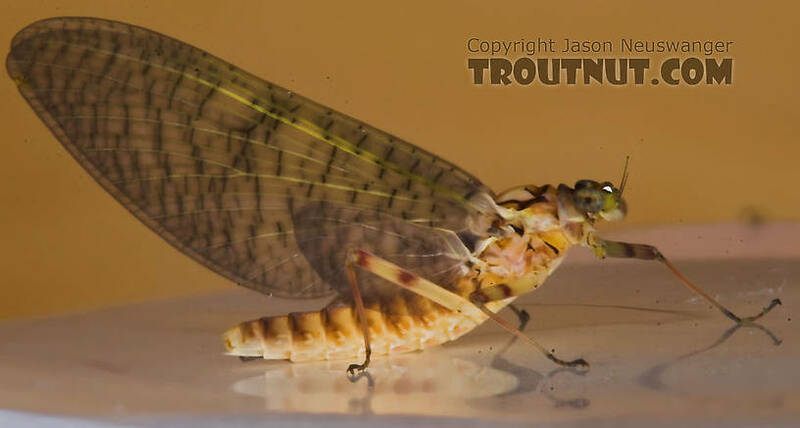 She's fairly damaged but at least you can see the colors. 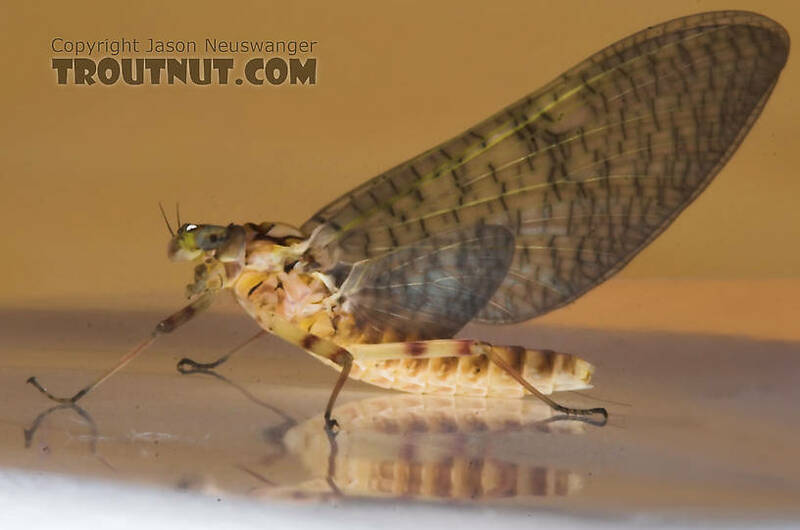 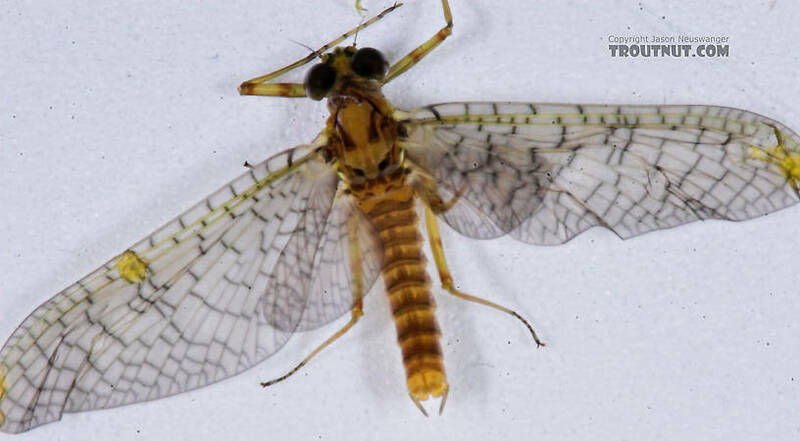 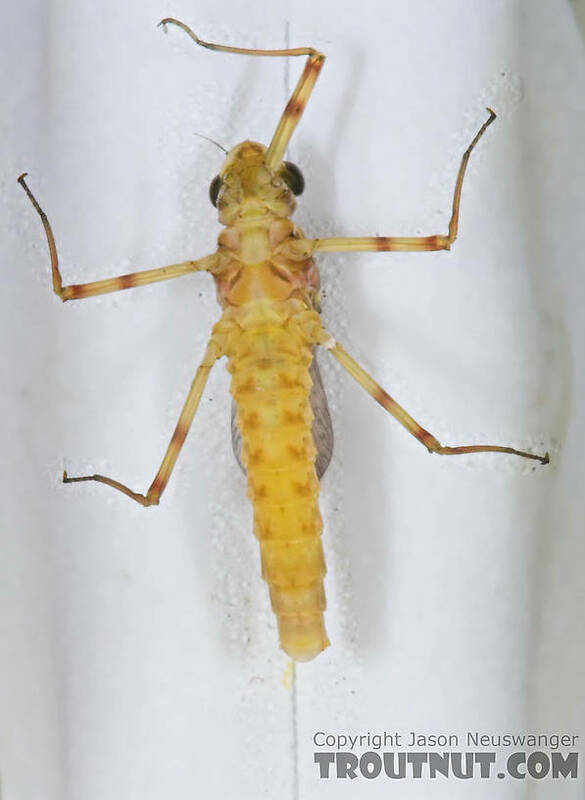 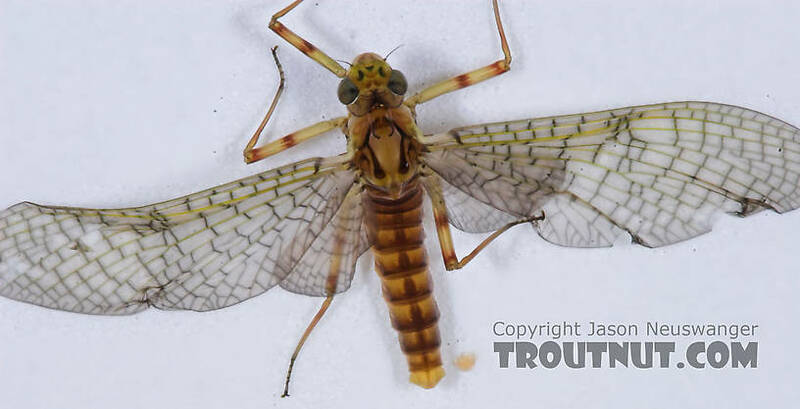 This mayfly was collected from the Namekagon River on May 27th, 2005 and added to Troutnut.com on May 22nd, 2006.